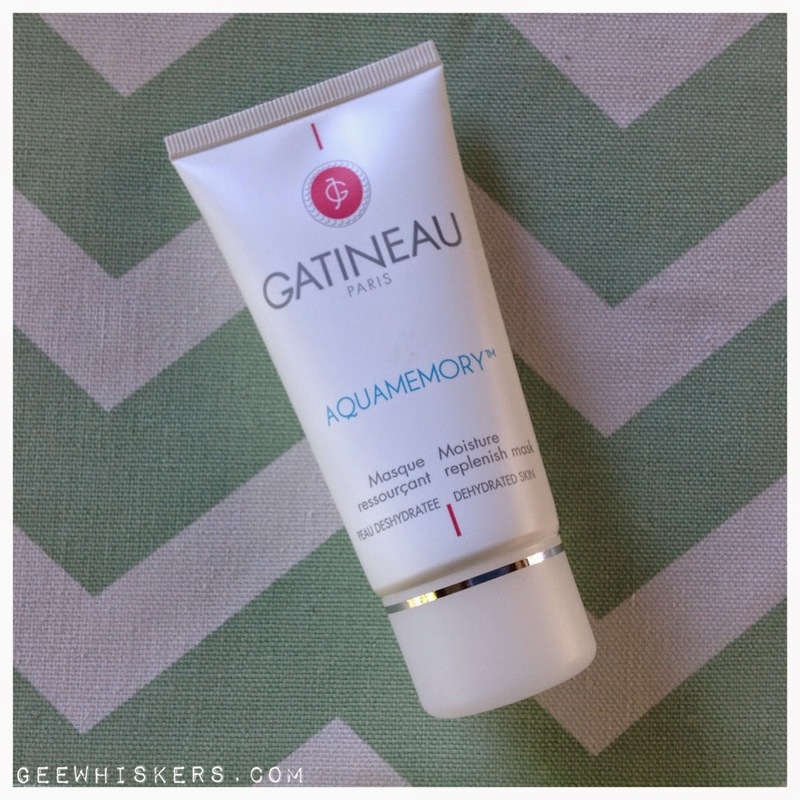 Gatineau Aquamemory Moisture Replish Mask / Gee Whiskers! Last week I mentioned in a post that my skin has been acting up. I don't know what affected me but after a week of skin that was so dry it felt as if it was going to tear open, I am finally starting to win the battle. The way I have helped with is by sleeping in a hydrating mask, Gatineau Aquamemory Moisture Replish Mask. I have mentioned this mask on my blog before. It is my go to mask when I need to plump up my skin and get moisture into it fast. The mask is enriched with Sea Fennel extract, Platymonas which help with hydration deep down in your skin. It also has pure hyaluronic acid and NMF complex which instantly moisturise the skin's surface. Brown algae extract and relipidifying sea fennel extract help to reinforce surface hydration by limiting the water loss in the transepidermal layer. To help boost the skin's natural defences and protect against free radicals there are protective complex and Vitamin E added to the product. My skin always looks less dull, dewy and refreshed after using this mask. From within I can feel my skin is far less dry and feels so much less tight. The hydration lasts well but when you battle with severe dry or dehydrated skin you'll need to use this mask at least 3 times a week to ensure the moisture is maintained in your skin. To sort out your dehydrated skin quickly the trick is to mask every day. The thing to remember though is your skin won't absorb the mask if you have a thick layer of dead skin. In order to get rid of it, I suggest an AHA cream exfoliator for dry skin to ensure you don't further dehydrate your skin. You don't need to exfoliate every night when you mask daily, 3 times a week is sufficient and will ensure the hydrating mask penetrates your top skin cells. I leave this mask on over night to ensure I get the best results however when I do this I lock my mask in with my night cream to ensure my skin doesn't dry out. A mask will only remain active on the skin for up to 20 minutes before it dries and stops working. So either remove it or apply a moisturiser on top of the mask after 10 - 15 minutes to seal it in and ensure you get the best results. I bought this mask from Dischem for R365. It is also available on the Rubybox website for R395. To me this is a very reasonable price for a face mask because the ingredients are of high quality. Other masks of this quality retail for over R500 for 50ml. All in all, this is a mask I definitely will use for many years to come. I use the aquamemory moisturizer and LOVE it. It's so light and is absorbed really quickly.